3rd Row Seat, Keyless Start, Dual Zone A/C, TRANSMISSION: 4-SPEED AUTOMATIC VLP, CD Player. SE trim. EPA 25 MPG Hwy/19 MPG City! SEE MORE!======EXCELLENT SAFETY FOR YOUR FAMILY: Child Safety Locks, Electronic Stability Control, Brake Assist, 4-Wheel ABS, Tire Pressure Monitoring System, 4-Wheel Disc Brakes Safety equipment includes Child Safety Locks ======VEHICLE FEATURES: MP3 Player, Keyless Entry, Privacy Glass, Steering Wheel Controls ======OPTION PACKAGES: ENGINE: 2.4L I4 DOHC 16V DUAL VVT (STD), TRANSMISSION: 4-SPEED AUTOMATIC VLP (STD), QUICK ORDER PACKAGE 22B Engine: 2.4L I4 DOHC 16V Dual VVT, Transmission: 4-Speed Automatic VLP, Rear View Auto Dim Mirror w/Display, ParkView Rear Back-Up Camera. ======EXPERTS RAVE: Edmunds.com's review says The ride was controlled on undulating pavement, and it didn't get harsh even on the truly rough stuff. The Journey feels solid and secure on the freeway and would make a good long-distance vehicle.. Great Gas Mileage: 25 MPG Hwy. 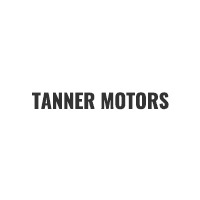 ======BUY FROM AN AWARD WINNING DEALER: At Tanner Companies we offer a broad selection of new and used Chrysler, RAM, Jeep, Dodge, and Nissan Cars, Trucks, and SUVs to Brainerd, Baxter and the surrounding St Cloud, Alexandria, and Little Falls areas. We take pride in the vehicles we sell and strive to succeed in providing an outstanding customer experience. As a leading auto dealership in our community, we are dedicated to providing our customers with great service. Fuel economy calculations based on original manufacturer data for trim engine configuration. Please confirm the accuracy of the included equipment by calling us prior to purchase.